Obituary for Walter Miller | Westlock Funeral Home & Crematorium Ltd. It is with great sadness that the family announces the passing of Walter Miller. Walter is survived by his loving wife of 63 years Gladys, his two sons, Steven (Shelley) and Jim and his son-in-law Kim Boyd. Grampy is deeply loved by his grandchildren, Matthew (Jenny), Joshua, Lisa (Mark), Jeff (Gloria), Aaron (Colette). Predeceased by his beloved daughters, Elaine and Nancy, his parents, Julius & Juliana Miller, brother Helmut, sister Wanda, his in-laws Richard & Selma Schmidt. Walter was born and raised on the family farm south west of Barrhead. 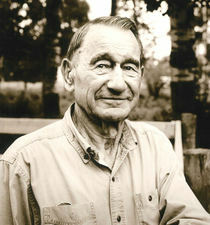 He had a lifelong passion for farming. Walter always had time for conversation, a warm smile and a hearty handshake. A Memorial Service will be held on Monday, February 4th, 2019 at 1:00 p.m. at the Westlock & District Community Hall. In lieu of flowers donations gratefully accepted AHS Westlock Healthcare Centre c/o 10004 – 105 Street, Westlock, AB T7P 1V2. Arrangements entrusted to Westlock Funeral Home & Crematorium Ltd. 780-349-3474.